The transmission of motion between two shafts has been carried out by the use of mechanical connections including splines. Splines are used to provide torque and speed from the shaft to the hub or vice versa. Moreover, they prevent movements among them in a peripheral direction. So, the spline can be seen as a gear with a special profile in line with international and national regulations. Their teeth can be straight-sided, included angle forms or involute forms. The transmission ratio between shaft and hub is 1:1. Compared to other mechanical connections, spline is primary suitable for high torque and then when it is essential an axial transfer of the hub which should be blocked during the motion. 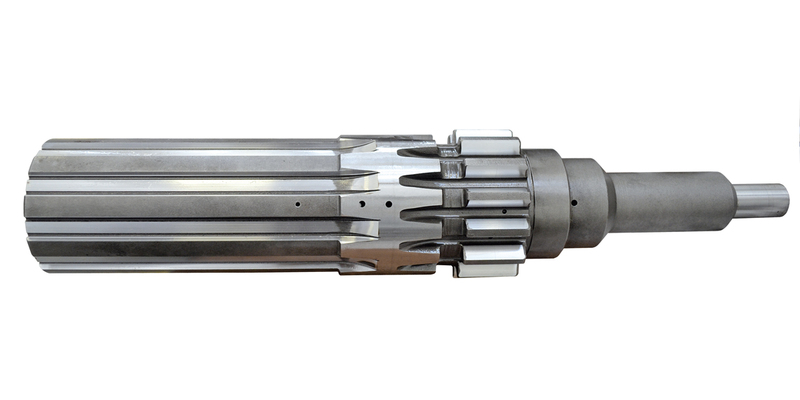 There are many benefits in using splined shafts in place of a keyed shaft. In fact the spline connection offers a load distribution which is equal along the teeth sides. Consequently, this load produces a longer fatigue life compared to the keyway drive. Among its advantages there is the possibility to use a single hob or cutter for the creation of the same module of equal relative regulation. The Samputensili Cutting Tools offers hobs and shaper cutters for any profile approved by regulations; moreover, thanks to our expertise and skills, we are able to provide any changes in order to meet clients’ requests.